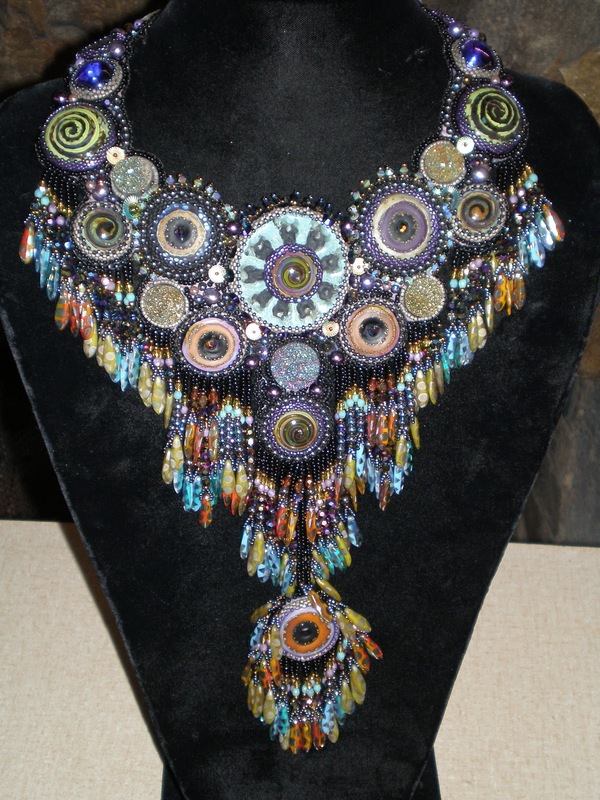 Come spend three days in a retreat-setting with Sherry Serafini, often referred to as the “rock star” of bead embroidery. The workshop will be about finding inspiration and creativity from unusual places and translating it into a design of your own. This won't be your typical retreat. It’s for experienced bead embroidery artists looking to go to the next level. It will focus on your own creativity and design process--and throughout the three days you’ll be guided by one of the best in this art form. 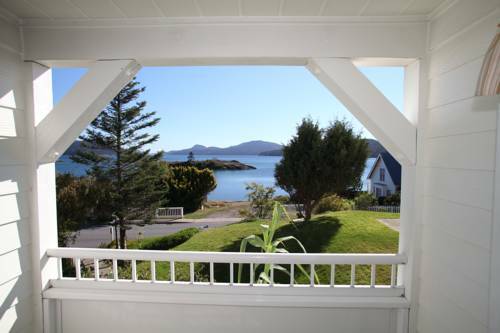 The retreat will be at the Outlook Inn on Orcas Island in the San Juan Islands in northwestern Washington. It’s a beautiful, peaceful setting that also will help put you in a space that fuels your creativity and in which you can take a step back and relax among the area’s beauty. Day 1. Friday, October 26. You’ll have breakfast (included) at the Inn’s New Leaf Café prior to our 9:30 a.m. start for our workshop in the Victorian Room (and its adjacent courtyard and patio). Lunchtime will be an opportunity to take-in some fresh air by having lunch (on your own) at one of the lovely cafes near the Inn. We'll then continue the workshop until 5 p.m. In the evening, we’ll reconvene for a “welcome dinner” (included) at the New Leaf Café. Day 2. Saturday, October 27. Breakfast (included) again at the New Leaf Café followed by the same schedule for the workshop. You will be free to enjoy the evening on your own. Day 3. Sunday, October 28. You’ll again enjoy your breakfast (included) at the Inn’s café. We’ll have our final workshop, which will wrap up at 5 p.m.
Sherry was voted one of the top 10 instructors in the United States by Bead & Button magazine. 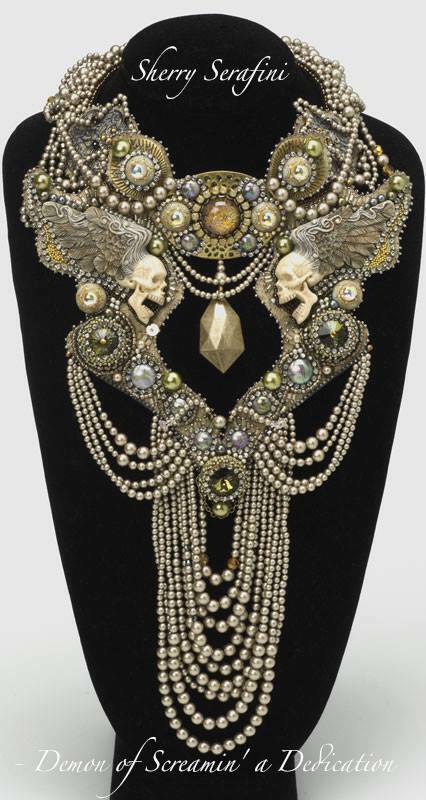 She lectures and teaches throughout the U.S. and has won numerous awards for excellence in design, including Saul Bell Outstanding Jewelry Design Award; Bead International 2006; People’s Choice Bead Dreams; and Best in Show runner-up in Bead Dreams. 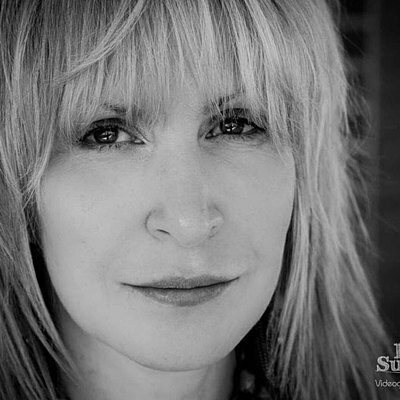 She has been published and has written articles for several well-known magazines. 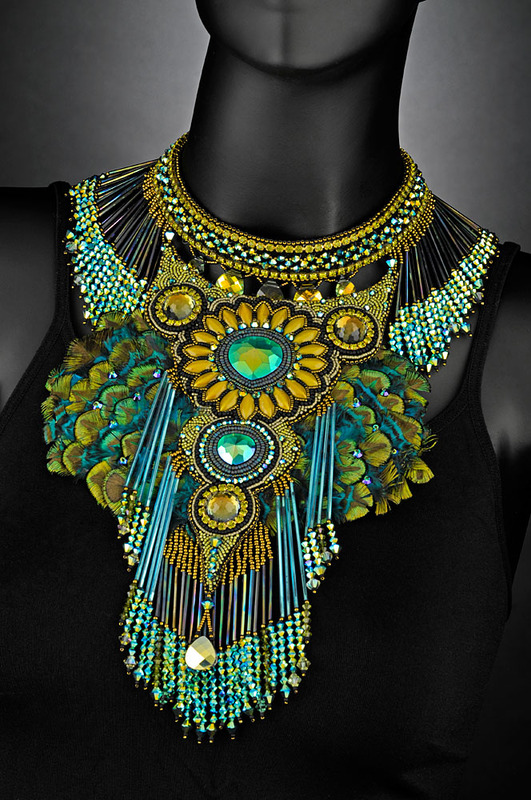 Her work has been featured on the covers of trade magazines and catalogs and is the author of Sensational Bead Embroidery: 25 Inspiring Jewelry Projects” and co-author of the “Art of Bead Embroidery” with artist and her dear friend Heidi Kummli. Sherry is working on a new book about unconventional and unpredictable bead embroidery, which hopefully will be released prior to the October retreat (and another source for inspiration!). 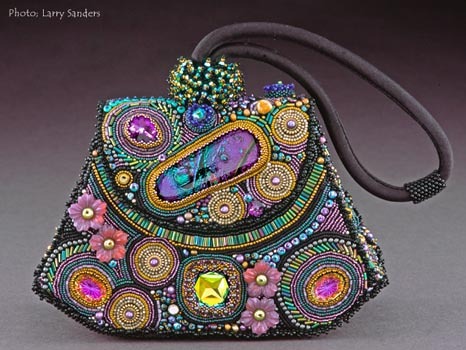 Sherry’s beaded art is known internationally and is owned and worn by Grammy winner Melissa Etheridge, Steven Tyler of Aerosmith, Lenny Kravitz, and Fergie of the Black Eyed Peas. Some of Sherry's Work . . .
Space is limited. To hold your space, send in a $400 deposit and completed registration form. Balance will be due 90 days prior to start of the retreat (see Conditions & Responsibilities for more information). To arrange your lodging with Outlook Inn, you will call 360.376.2200. Advise them that you want to book a room from the block that Beadventures has reserved. To learn about lodging options, click here and review the room types; to learn about our discounted group rates, click here. The block will be available until July 25, 2018; you should call early to have a better chance of getting your preferred room option. Logistics of Getting to Orcas Island . 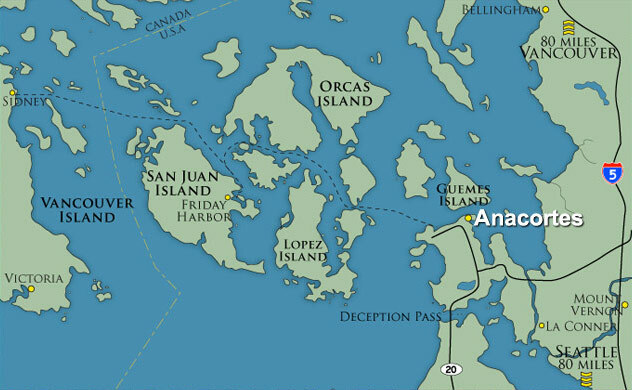 . .
Orcas Island is accessible via ferry that departs from Anacortes, WA. You’ll arrive at Seattle-Tacoma International Airport (SEA airport code). There is a shuttle service to travel from the Seattle airport to Anacortes to catch the ferry (Airport Shuttle at 866-235-5247). You’ll also need to make a reservation for the ferry, which has multiple departures throughout the day. Taxi service is available from the ferry to the Inn. Beadventures will be glad to work with you on your logistics of arrival and departure from Orcas Island. Yes, I know it sounds complicated—but you can do this! Retreat Notes . . .